Nakhshon Knoller - a highly qualified doctor and an experienced neurosurgeon. Particular attention in the medical practice doctor pays fractures and trauma treatment. 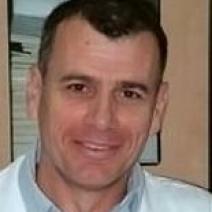 Nachshon Knoller is a founding member of the department of general traumatology clinic Sheba. World fame, prestige and recognition of it due to his many years of unique experience and deep knowledge of their specificity. Thus, it is a renowned expert in the removal of spinal tumors. Today, the world-famous neurosurgeon is the head of the Department of Spinal Surgery, continues to receive patients, and all that successfully combines with research and teaching activities. Is engaged in research on the development of new methods of medical treatment of brain and spinal cord injuries using stem cells. Internship in the surgical treatment of traumatic brain injury and the effects of the spinal column and spinal cord injuries in the Shock-trauma Senter, Baltimore (Maryland, United States).